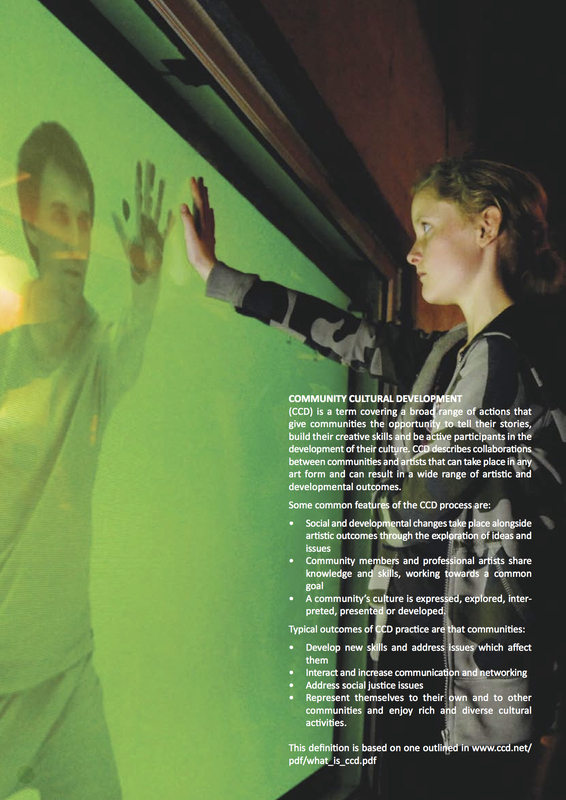 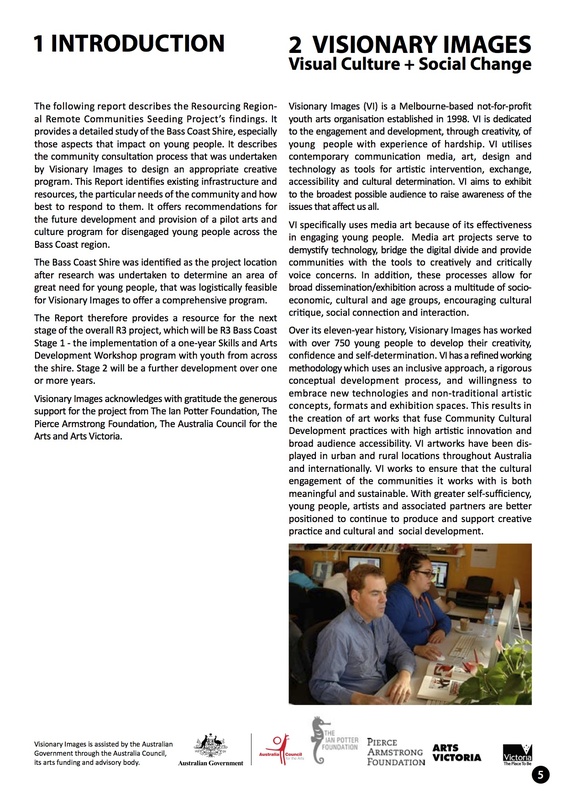 Visionary Images undertook an extensive research and development phase to enable the establishment of a pilot model of Visionary Images services in the South-West Gippsland region of Victoria. 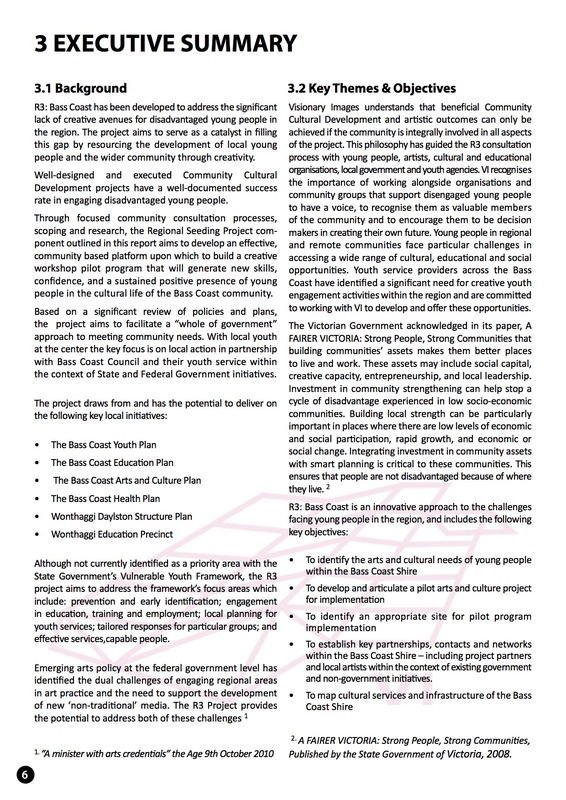 The Regional Seeding Project was the foundation for the R3 Bass Coast pilot model. 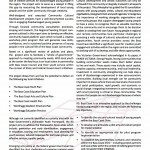 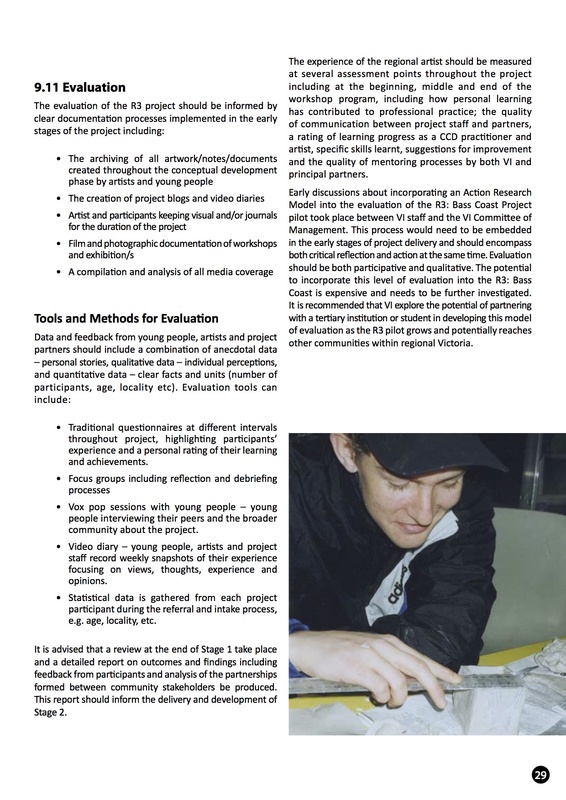 The R3 Regional Seeding Project Report that was generated as part of the seeding project is the blueprint for this pilot. 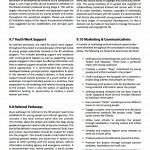 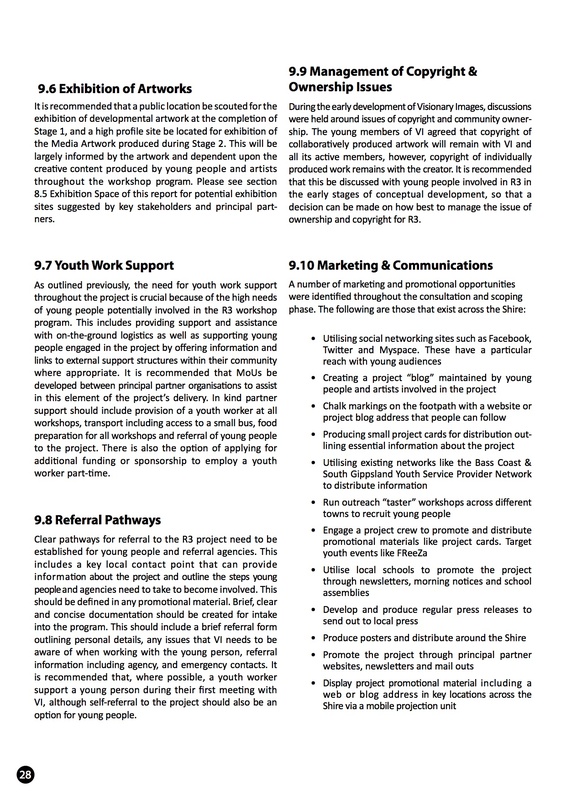 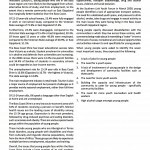 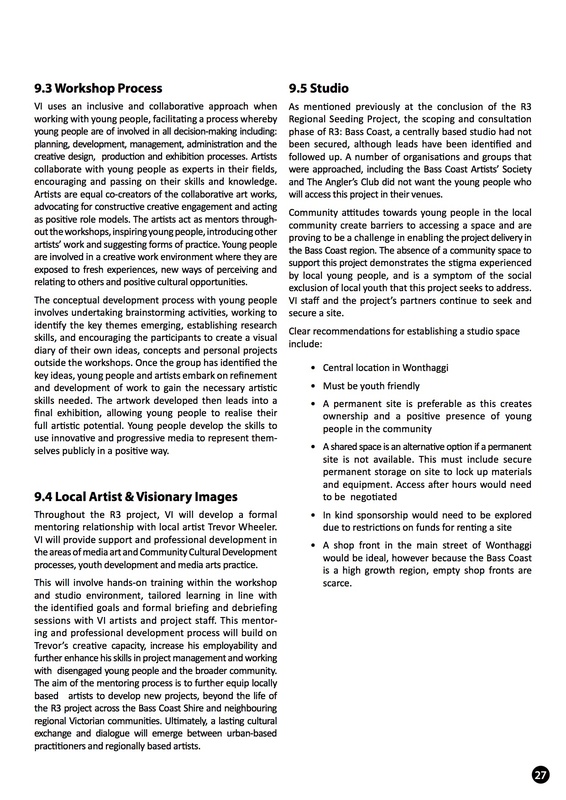 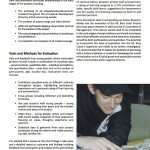 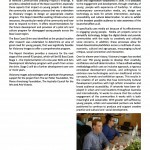 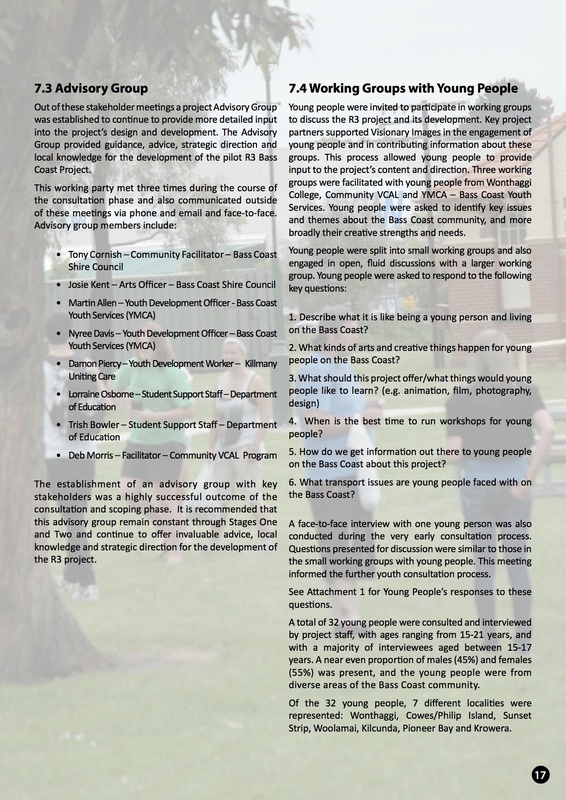 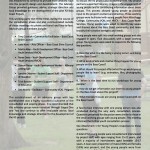 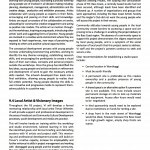 Below are some page extracts from our 2010 R3 Seeding Project Report. 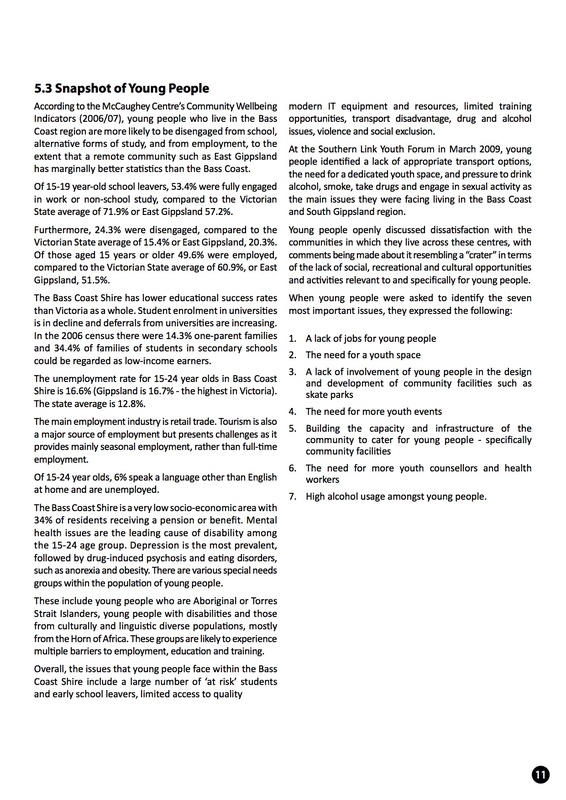 Please get in contact with us if you would like a copy of the full report.